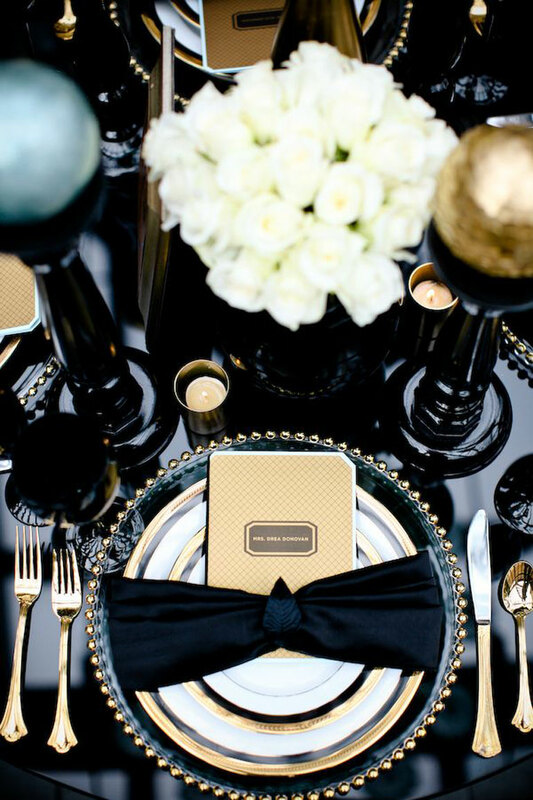 Every Christmas silver and gold steal the show, but this year metallics are more popular than ever. 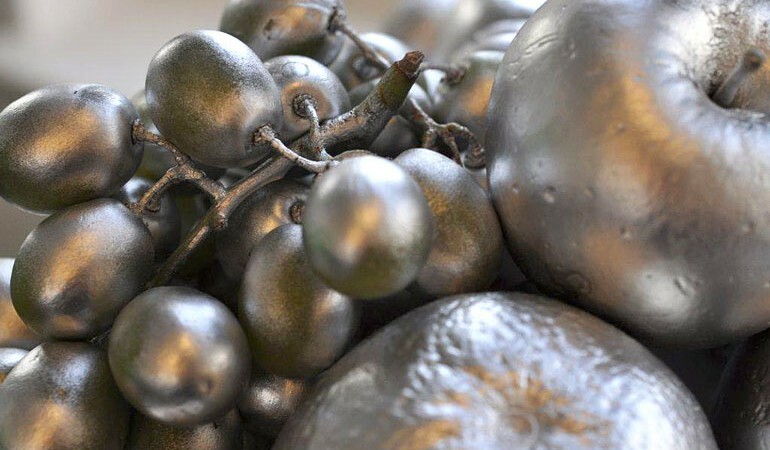 Create your own show stopping centrepiece by spray painting firm skinned fruits and piling them high on a cake stand or in a bowl. Pineapples, look particularly opulent and are very much on trend. Use all of your old baubles and string them together to make a glamorous wreath- the perfect excuse to invest in some beautiful new ones! Or why not string three or four onto a medium length piece of ribbon, and then attach your creations to the back of your dining chairs? The options are endless! Don’t waste money on candle holders when you can make your own stylish ones for next to nothing. 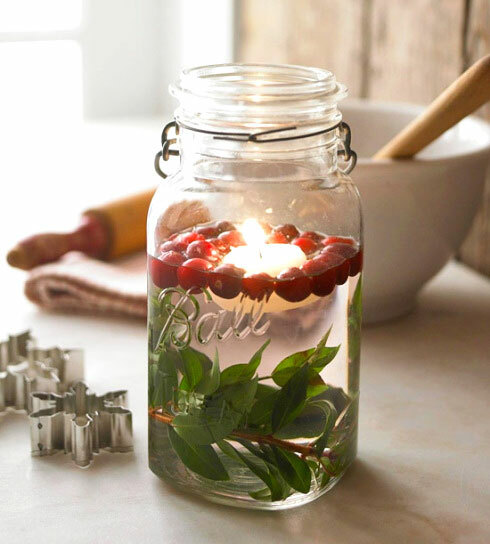 Start collecting old jam jars now, and when the festive season arrives fill them with water, some foliage and fresh berries. Add floating tea lights and let them shine. 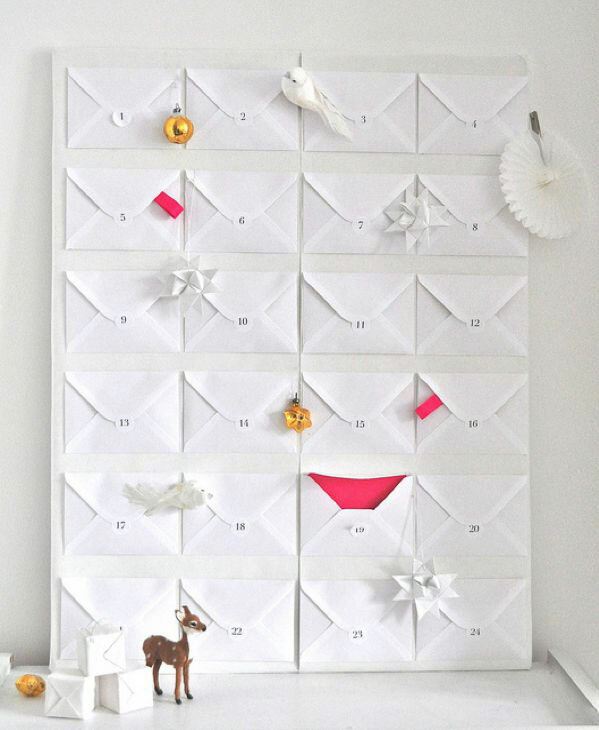 By using some humble, plain white envelopes mounted onto a board or a wall, you can create a striking advent calendar. Add pops of neon with ribbon or card and dot a few decorations around for added impact. For an understated yet chic Christmas table top, simply stack your dinner plates by size and wrap an extra thick piece of ribbon around them. Your guests will love the opportunity to ‘open’ an extra ‘present’! Add extra glitz by circling a glitter mistletoe garland around each place setting and pop the complementary wreath in the centre of the table with a family of pillar candles. 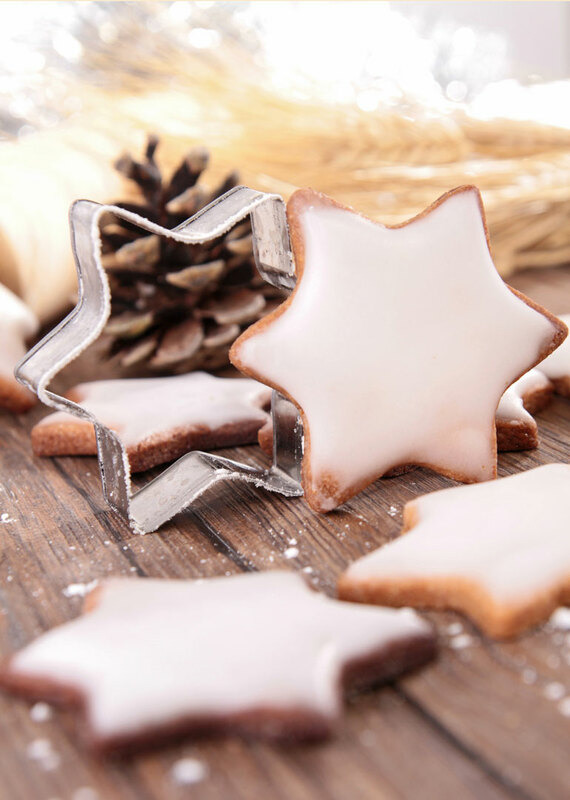 Why not ice your guests’ names onto delicious homemade or festive shop bought biscuits? Alternatively, split a twig into two equal sized pieces, place a piece of card with your guests’ name written on in the middle of them, and glue together so that the name is still clearly visible. Add a small cutting from your Christmas tree and voila! Pinecones also make really simple and free place card holders- spray them gold if you want to add a little sparkle or leave them natural for a rustic look. 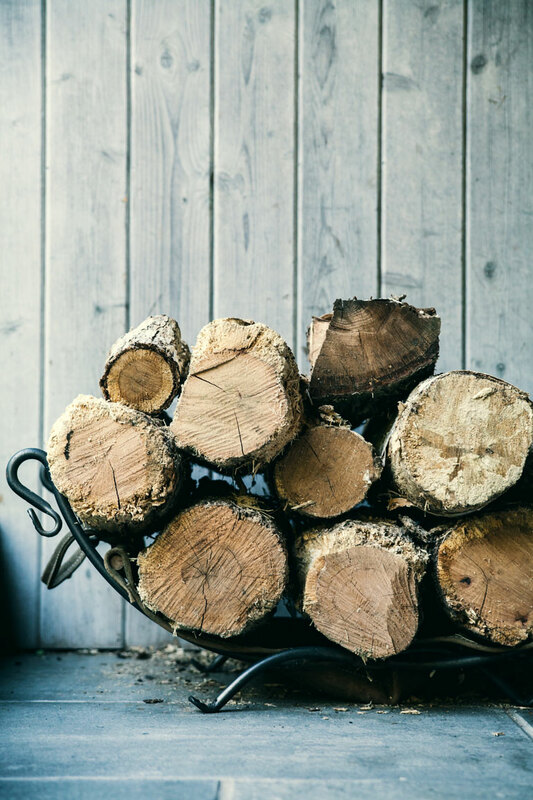 Whether casually sat at your front door, placed in a wicker basket next to an armchair, or methodically stacked high either side of your fireplace, a pile of logs is an inexpensive way of making your home instantly inviting and Christmassy. Don’t worry if you don’t actually have a working fire- it’s all part of the illusion. Fashion a colourful stack of orange peel cut into ever-decreasing star shapes and topped with a star anise. 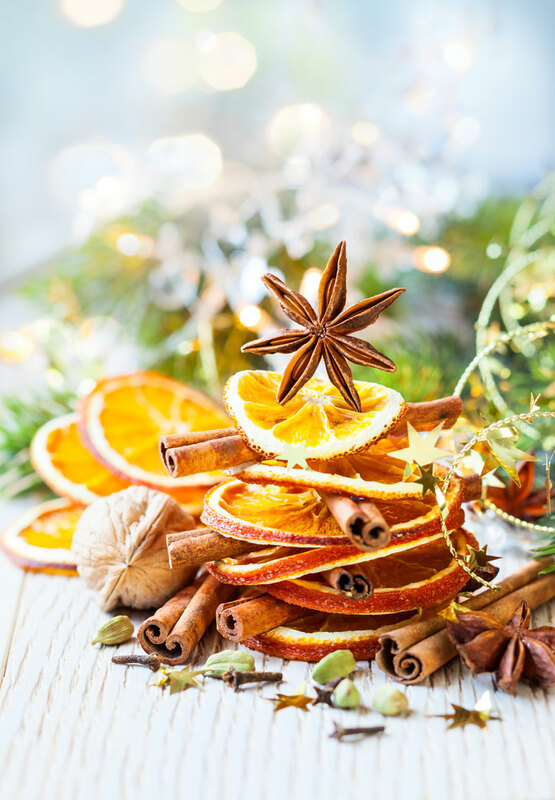 If stars aren’t your style, peel an orange, twist and layer with cinnamon sticks to look like a little Christmas tree. Let the citrus delight stand on a coffee or side table for a few days, then burn it in an open fire to release the fragrance.